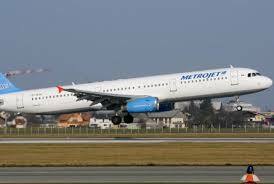 President Vladimir Putin today suspended all flights from Russia to Egypt until the cause of the crash of the Metrojet Flight 9268 can be established. Egypt is the most popular tourist destination for Russians, and there are more than 25 daily flights from Russia to Egypt. Until now, the Russian authorities have been playing down the possibility of terrorism in the crash of 9268. UPDATE: France24 reported today that European investigators who analyzed the two flight recorders from the Metrojet plane are categorically ruling out accident. They said the cockpit voice recorder shows an explosion, and the flight date recorder confirms the explosion was not accidental. United States and Britain shared their intelligence with Russia concerning the Metrojet crash before Putin made the decision to suspend flights, Kremlin spokesman Dmitry Paskov told CNN late Friday.